“Old Yeller” and Mario after having hauled manure all day! 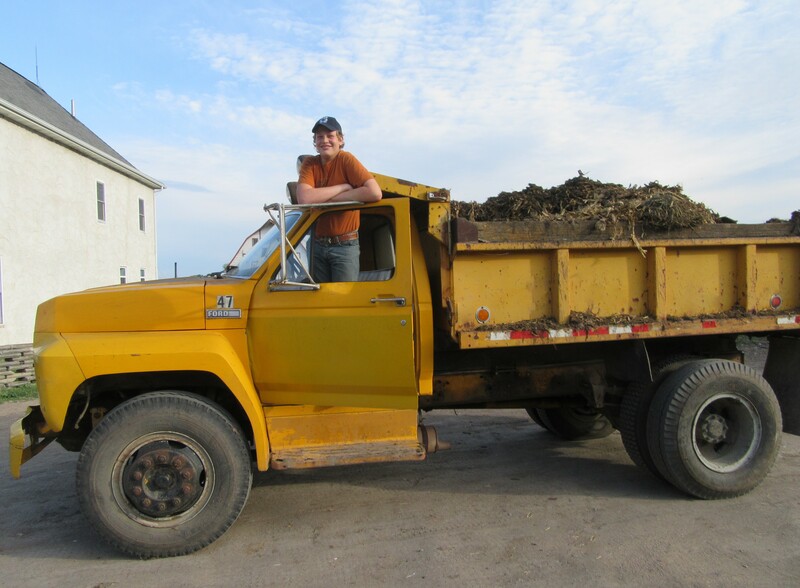 We finally were able to find an old dump truck to haul manure and gravel with. The truck formally was owned by the city of Granite Falls. Thankfully we were able to sell the old manure spreader which was not large enough to handle our endless supply of manure! This should extend the life of our old tractor and speed up the work load. The old John Deere is now working hard in South Dakota! 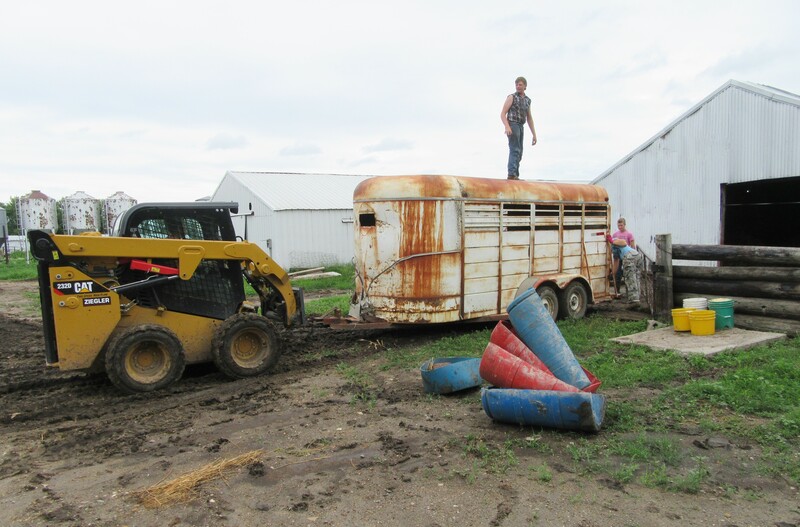 The good thing about having old farm equipment is that Mario (age 13) can learn how to fix things. We ended up selling the old faithful CAT and replacing it with another, see photos below. The old Cat is now working over in South Dakota as well. The farm crew with the new CAT! 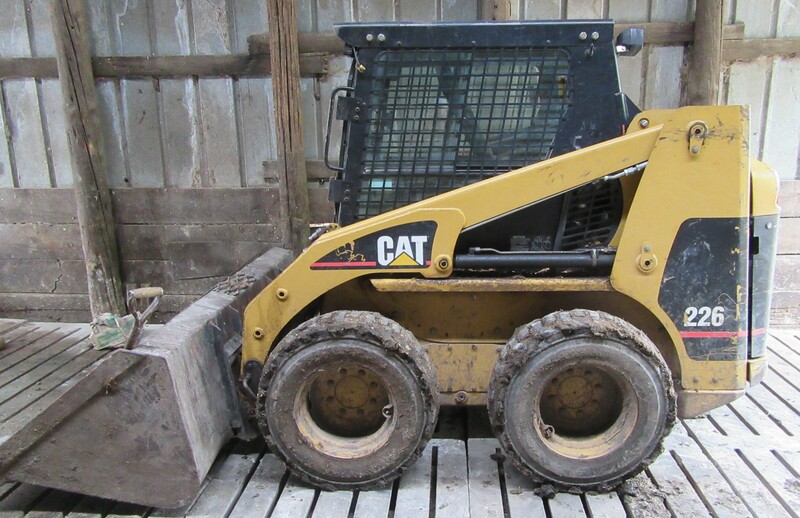 In with the new…… CAT, moving the bred sows! Bella and I took a road trip out west to see Jessi, Luke and the children. Below is a photo of some of us together on a hike. I took the tumbleweeds home to remind me of the trip. What a beautiful area of God’s green earth!! 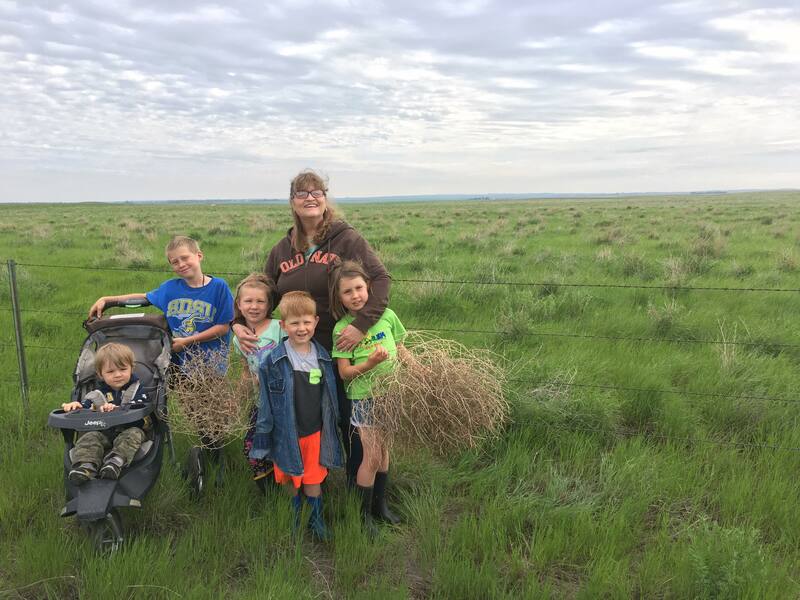 Sweet grandchildren out in Montana. I miss the little angels! 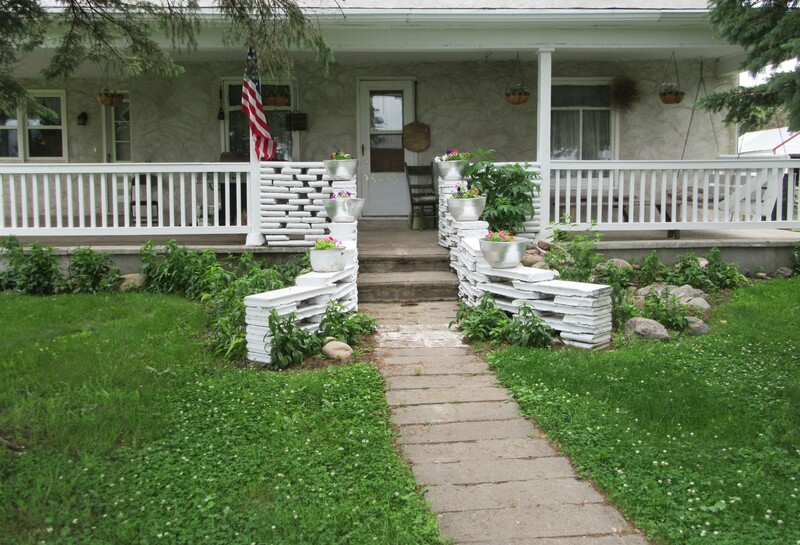 When we arrived back in Minnesota the girls had finished painting the porch, a nice surprise and a ton of work. New face lift on an old porch. Life is good by golly, enjoy yours! This entry was posted in EVERY DAY FARM LIFE and tagged @maggiecallens, Callens Farm, farm life, Organic Valley Pork. Bookmark the permalink. I enjoyed your post, Sandra. Good to catch up with you BUSY guys! Don’t see how you do it!! I’m running out of honey. Only one left. Would you send me another batch? 8 is enuf as I’m the only one eating . Enclose the envoice and I’ll send a check. Thanks so. mulch . If I can have some from your lastest batch Since it goes so slowly, it tends to crystalize. Have a wonderful summer. Great you Could visit Luke and Jessica and kids. Fun. Lots of love .i have you and yours in my prayers. Daily when I pray for Peter and Frenchy fam. Life does look very good! I wish some of us could get out for a visit, JohnPaul has all the luck. He had a great time; you have a wonderful family!